At Essential Design we create products and services for all kinds of people in all kinds of situations. Often, we introduce new ideas and new technologies to improve different aspects of peoples’ lives. For lots of reasons, new ideas and unfamiliar technologies are met with suspicion. In some cases, great ideas can be rejected by people simply because the benefit of the solution was lost in overly-rich feature sets or overly-complicated use models. That’s why we think it’s a designer’s job to act as an “interpreter of technology” for users. Putting humans at the center of technology-driven robot design projects changes the way we define success—and what is expected from the designer. helping people see the benefit on their terms. Thankfully, designers are uniquely suited for the role of technology interpreter because we’re trained to be empathetic, explore options, and craft solutions with end-users at the center of the process. Having contributed to the design of various home, medical, and commercial robots, the design teams at Essential Design work with technology inventors to help focus development teams on the user’s real goals so that we can find the best solutions together. Designers are also trained to think in creatively about new possibilities—and this positions designers well for the role of “future explorer.” Science fiction writers tend to lead the charge, painting pictures with words so readers can imagine future worlds. When Hollywood engages writers on films, they also engage designers to interpret the authors’ and directors’ visions, and to create extremely detailed and plausible future products and environments. If you watch sci-fi themes evolve over time, you can see how technology is presented in different ways. For example, consider the level of technology capability that is embedded in the environments themselves. In many sci-fi movies, we see characters interact with smart devices, smart environments and often some kind of robot that interacts seamlessly with everyone and everything—supporting and challenging their human collaborators in surprising ways. At Essential Design, our vision of the future with robots is not too dissimilar, although we find ourselves addressing a lot of technical and regulatory issues that a film can avoid. But the subject we find ourselves discussing most is what constitutes appropriate and understandable human-robot interactions. We’re thinking in terms of the relationships we want our users to have with their robots. And we see our roles as designers evolving from form-creator, through user experience designer, to human-to-robot “relationship designer.” We think the designers who think this way will be the ones who make the most important design contributions in the coming years. One area of human-robot interaction to consider: our relationship with robots in our homes. As the Internet of Things (IoT) increasingly connects our smart devices, we’re creating an appetite for features and capabilities that go far beyond the floor cleaning and artificially intelligent web searching/shopping tools available today. 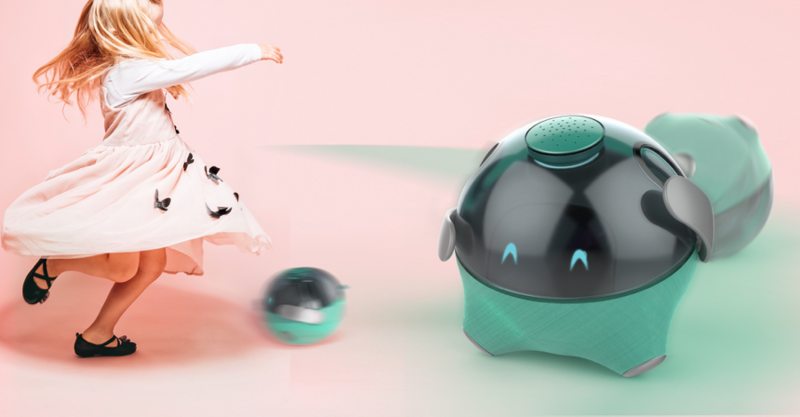 Interactive robotic toys and social robots are starting to hit the market—promising richer and more natural communications and links to information and content. Designing rich play experiences | Learning is physical too; it’s time to engage all of us. The physical environment in many homes is obstacle-ridden so robots that can climb stairs, reach things, open doors, and go outside will be very desirable. 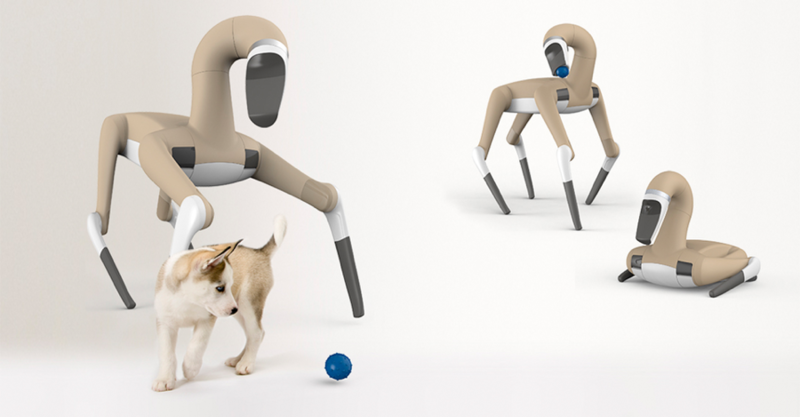 We see the work being done in quadruped design evolving to in-home applications where robots act as active monitors—keeping track of things while you are away and assisting you by finding things when you are home. They will also act as the interface to other control systems in the home, controlling thermostats, managing lights and locks, helping families with tasks and even offering a level of companionship to your (biologic) pets. But these robots won’t really know what everyone is expecting from them, so as designers we’re going to have to establish a new kind of communication protocol so these interactions and relationships are as successful as possible. Designing capability | Sensing and monitoring is helpful, but acting and affecting is empowering. 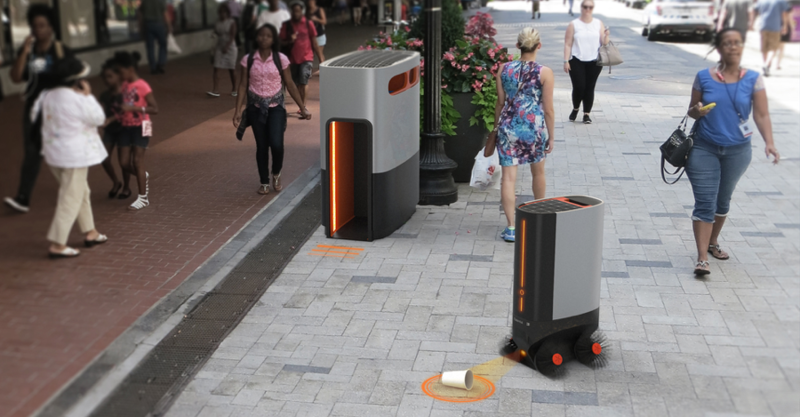 You may have experienced robots delivering mail at work, or taking supplies to another machine but soon we’re going to see robots shopping next to us in stores and policing public spaces. We see purpose-built robots performing numerous jobs behind the scenes, in quiet, almost invisible ways. But the way they behave when they encounter people, and the way they behave when people address them is an interesting design question. Smart cities with autonomous robotic workforces will provide a range of public services to their citizens. How do you want these robots to behave around you? How should they act when curious children try to play with them or when teenagers get mischievous? Designing collective benefit | Creating high-tech solutions to ubiquitous low-tech problems. 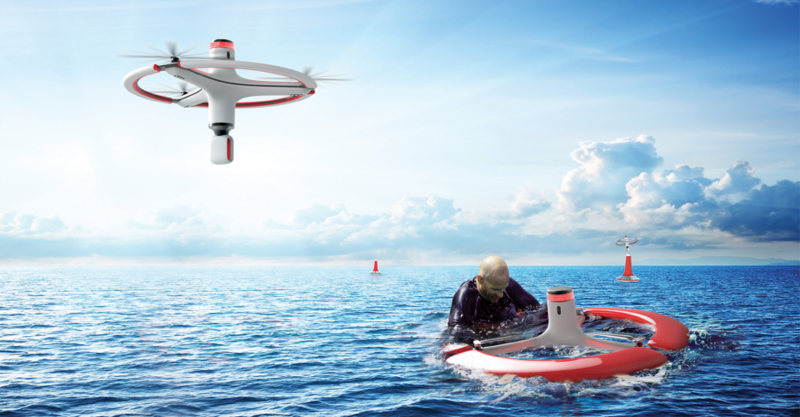 Flying robots are particularly interesting because they can work above certain constraints and get to places where it’s difficult for people to get quickly. These robots can work relatively independently, as package delivery agents for instance, but if you think about robots working in tight collaboration with public safety and emergency services, complex interactions must be designed and critical information must be shared in the most adverse conditions. The image below illustrates one idea we have for coastal safety monitoring. 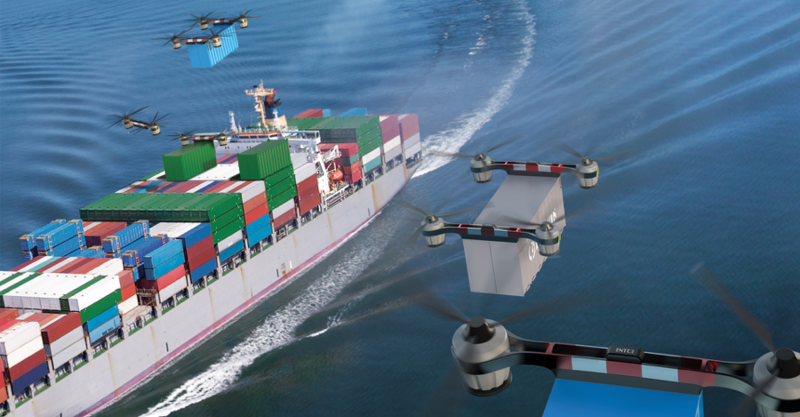 Cooperative robots can monitor waterways for boat traffic, compromised vessels, dangerous sea life, etc., to provide quicker and better data to human resources on and offshore, but how they communicate to engender trust and inspire action is a next-level design question. Designing first responses | Augmenting the capabilities of first responders to improve outcomes. Of course, industrial robots interact with people too so we must think about the way robots provide feedback on availability, capability, and status. Robots can take a passive, suggestive, or even directive posture with their human collaborators. And that posture might change in the moment based on incoming data or the relative rank of the human collaborator. Good work relationships are historically defined by good understandings about expectations and good feelings of empowerment. Right now we’re designing the way robots respond. Soon we’ll be designing rich collaborative interactions and we will need to design ways humans respond to them. Robots will be offering suggestions and making decisions and we’ll have to decide how human we need them to be for us to take their advice. Designing connected systems | As markets change, human/robot collaborations will intensify. As new technologies reframe what’s possible, we at Essential Design think our role as technology interpreters has never been more important or more exciting. We decided to build our robot concepts in Fusion 360. 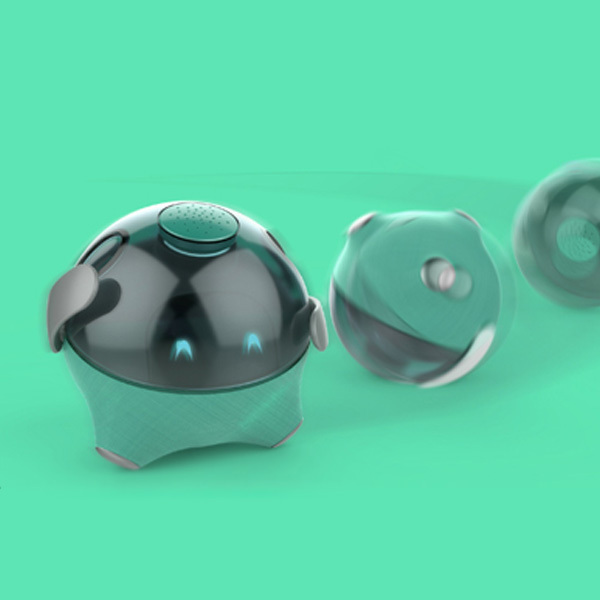 As a team of designers who like to experiment with new technologies and having worked in a variety of CAD packages over the years, Fusion 360 allows us to share individual progress fluidly, while leveraging the collaborative design refinement value of the platform. We work between the modeling and sculpting environments and have some fun, too, discussing the affect powerful tools have on the way one thinks about the design process itself. I am a co-founder and co-leader of Essential Design where I focus on helping clients interpret technology to create breakthrough product and service designs. Working as a designer and manager for many years I've developed expertise in the planning of innovation strategy, physical and digital product development, and service design initiatives for organizations seeking change.